Frisco is a nickname for the city of San Francisco, California. Here’s the thing with "Frisco": nicknames are supposed to embody some overall characteristic, not just act as a lazy surgery of the city’s name. There’s a reason we don’t call New York “Nork” when we’re feeling saucy. It’s the “City That Never Sleeps” for poetic reasons. Just because “Frisco” sounds like a place...doesn’t make it a good nickname. Where does Frisco come from? The nickname Frisco is a shortening of the Spanish name Francisco, which refers to St. Francis of Assisi. St. Francis is the namesake of an 18th-century Spanish mission founded in the location that would later become San Francisco. The name was later adopted for the city as a whole. In the 1906 essay The City That Has Fallen, William Marion Reedy pays poetic homage to San Francisco after its devastating earthquake, lovingly referring to the city throughout as Frisco and describing it as a resilient melting pot. 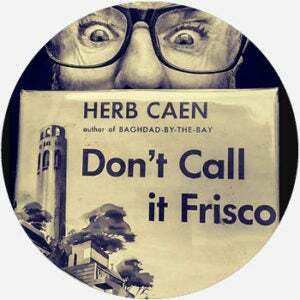 San Francisco Chronicle columnist Herb Caen, who wrote a book in 1953 called Don’t Call it Frisco, argued against the nickname because its use was associated with unseemly sailors. Caen’s discomfort may suggest, however, unwitting racist or classist attitudes toward immigrants, the working class, and persons of color who often staffed the city’s ports. Local distaste for the nickname continues to this day, though many residents may be unaware of its prejudicial past. Among many Bay Area residents, Frisco is looked down upon as a tell-tale sign of out-of-towners or tourists, who do widely use it as a well-meaning and affectionate term when visiting the city (e.g., “I can’t wait to check out Frisco tonight”). The dislike for Frisco isn’t universal among locals, though, as evidence suggests persons of color and of lower income are likelier to use the nickname, pointing back to its racial and class history. Counter-cultural and San Francisco transplant Allen Ginsberg, for instance, used Frisco for the city in his writing in the 1960s, and, in the 21st century, Bay Area hip-hop legend E-40 has used the term in his music and on Twitter when “shouting out” local rappers in San Francisco. Frisco is also the proper name of a city in Texas and another in Colorado.